MDH reports 28 cases are confirmed in Hennepin County, and one case is in Stearns County. In the past 20 years, 2011 had the most cases with 26 total. The remaining cases have not been verified. All cases are children between the ages of 0 and 5. The city of St. Cloud, located about 65 miles northwest of Minneapolis, is the county seat of Stearns County. Breitbart News asked the Minnesota Department of Health if they could confirm if the four cases of the 29 that were not among the 25 “confirmed in the Somali community” were in the general population not part of the Somali commuity. “No – they simply haven’t been verified yet,” a spokesperson for the Minnesota Department of Health tells Breitbart News. “Most likely Somali. There’s always a bit of a lag pending investigation,” the spokesperson adds. 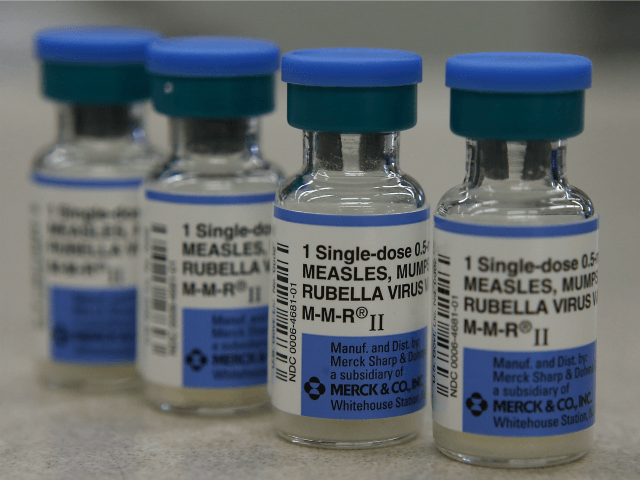 Minnesota Department of Health Commissioner Dr. Ed Ehlinger blamed the measles outbreak on “misinformation” that was provided to the Minnesota Somali community, not on the health practices common in that community. “This outbreak is about unvaccinated children, not specific communities. Unfortunately, the Minnesota Somali community has been targeted with misinformation about vaccine risks. We’re partnering with Somali community leaders and health care providers to counteract that misinformation,” Ehlinger said in a statement released by the Minnesota Department of Health earlier this month. “There are people of all backgrounds around the state who have chosen not to protect themselves or their children. Often that decision is based on good intentions and inaccurate information. It’s the responsibility of all of us who care about the health of Minnesota children to make sure people have accurate information and take action to protect their families and their communities,” Ehlinger added in an additional statement issued by the Minnesota Department of Health on Monday. Minneapolis-St. Paul is home to the largest Somali community in the United States, estimated to be around 70,000. On the public health front, Somali refugees in Minnesota have been identified as responsible for 22 percent (161 out of 732) of the cases of active tuberculosis (TB) diagnosed between 2010 and 2014, despite accounting for about one percent of the state’s population, as Breitbart News reported. “Hennepin County is also the site of two recent cases of active tuberculosis at local public high schools . . . The letter to parents from St. Louis Park Public Schools informing them of the case of active TB in January was sent in three languages: English, Spanish, and Somali, ” as Breitbart News reported. Recently, female genital mutilation (FGM) within the American Somali community has come to the forefront as a significant problem as well. Earlier this month, two doctors and another person were arrested in Livonia, Michigan on charges of conducting illegal FGM procedures on young Somali girls transported from Minnesota. In 2014, the Refugee Womens Health Center in Phoenix, Arizona told NBC News that 98 percent of all Somali women treated there (a total of 247 over five years between 2010 and 2014) were victims of FGM.